One Random Single a Day #40: “Cheap Sunglasses” (1979) by ZZ Top | Films Like Dreams, Etc. I have very little predetermined criticism of ZZ Top outside of their most well-known singles (also, I just wasted so much time listening to Culture before writing this post – whoops! ), so I’ll just jump right into the review for this one. ZZ Top are a blues/boogie rock band – one of the most influential of their kind – and were formed in 1969 in Houston, TX. They’ve kept their most famous lineup for more than 45 years, making them one of the few bands signed to a record label to do so. 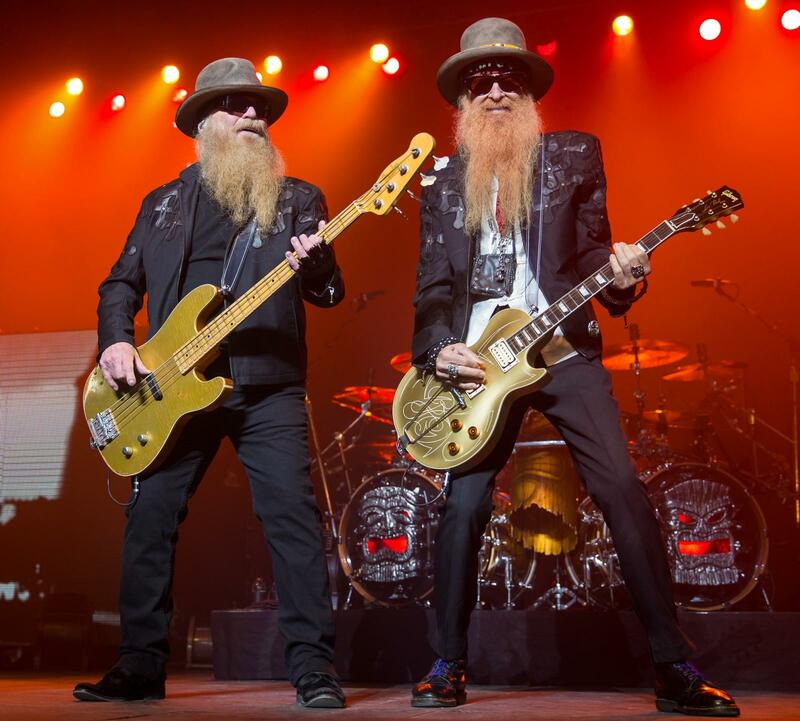 Besides being known for their riff-heavy country-rock anthems, their image is also defined by bassist Dusty Hill’s and guitarist Billy Gibbons’ long, prominent beards. 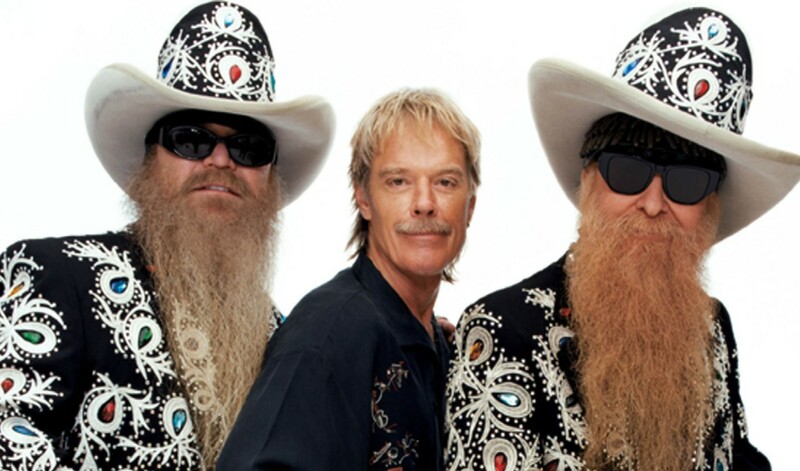 One of my favorite jokes regarding the band is that their drummer, Frank Beard, is nonetheless the only non-bearded member of the trio. ZZ Top had achieved a long line of relatively well-received albums and singles throughout their career, before finally hitting gold with their best-selling album Eliminator in 1983. Before then, though, they were a pretty casual blues-rock band, releasing pretty innocuous bits of blues-rock now and again. “Cheap Sunglasses” comes from their 1979 album Degüello; while ranked up to #89 on the US Hot 100, it failed to chart anywhere else. As the title implies, this song details the cheap pleasures of donning an even cheaper pair of sunglasses. It’s so obviously written to appeal to bikers, rebels, or those particularly appealed to the mysterious, esoteric nature of either of the two groups. The lyrics aren’t anything special at all, as seen in the opening verse: “When you wake up in the morning and the light hurts your head / The first thing you do when you get up out of bed / Is hit that streets a-runnin’ and try to beat the masses / And go get yourself some cheap sunglasses”. Seems pretty straight-forward, if you ask me. Yet as simple as this song seems, it does run for nearly five-minutes. That’s because the bulk of its runtime is made up of a lengthy intrumental solo, dominated by some cool, bluesy guitar and even a simple synthesizer riff that runs through the entirety and adds to its mysterious demeanor. There’s really not too much more to be said about this one, though. It seems like it would be great music for driving to, perhaps even more adequate for truckers or bikers riding along in long distances. Otherwise, though, it tends to go in one ear and out the other. It’s a pretty decent intro to ZZ Top or even southern blues rock in general, but even with that you’d be better off listening to singles that are more synonymous with the band’s sound, like “Sharp Dressed Man” or “Tush”. Actually, just listen to “Tush” – it’s the same schtick, but condensed in less than half the runtime of “Cheap Sunglasses”. When it comes to 70s southern rock, I really could only handle it in small doses. This entry was posted in Uncategorized and tagged 1970's, 1979, One Random Single a Day, ZZ Top. Bookmark the permalink.